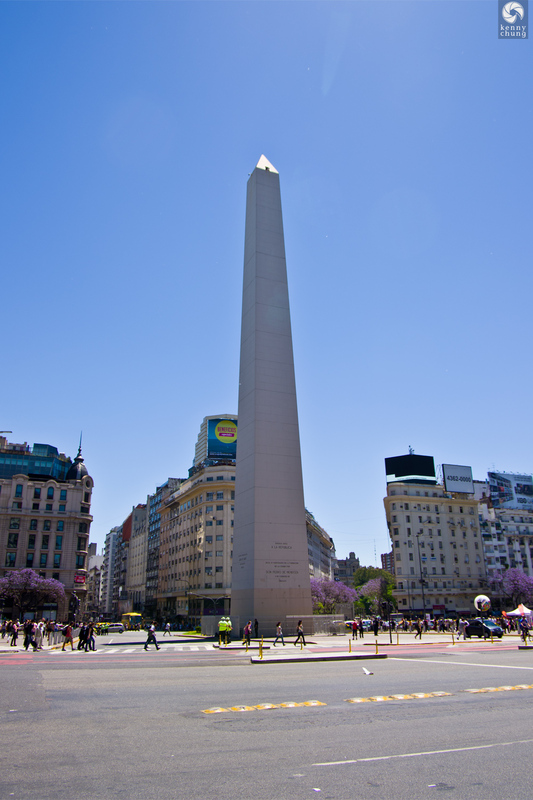 After exploring Plaza de Mayo, we went to see el Obelisco de Buenos Aires (the Obelisk). 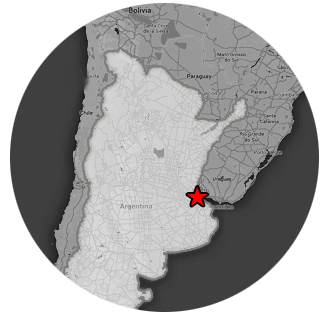 Located in the Plaza de la Rep�blica, the Obelisk marks a main city hub. Sadly, we were unable to visit the Obelisk at night, when the surrounding neon signs and the structure itself are lit up. 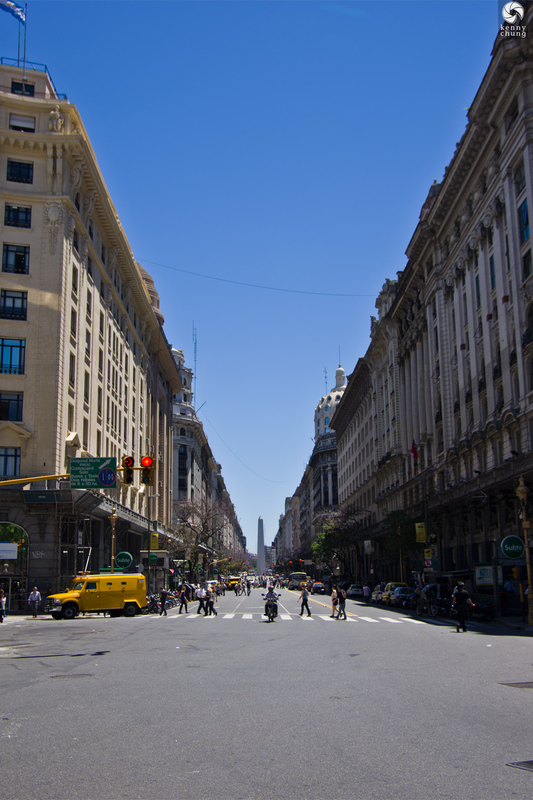 Our first sighting of el Obelisco de Buenos Aires, as seen from Avenida Roque S�enz Pe�a. 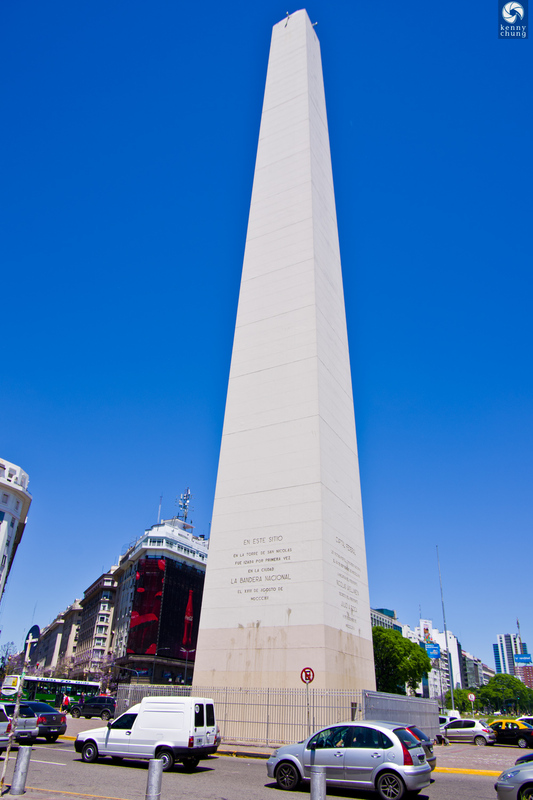 Another view of el Obelisco, this one from the east side. 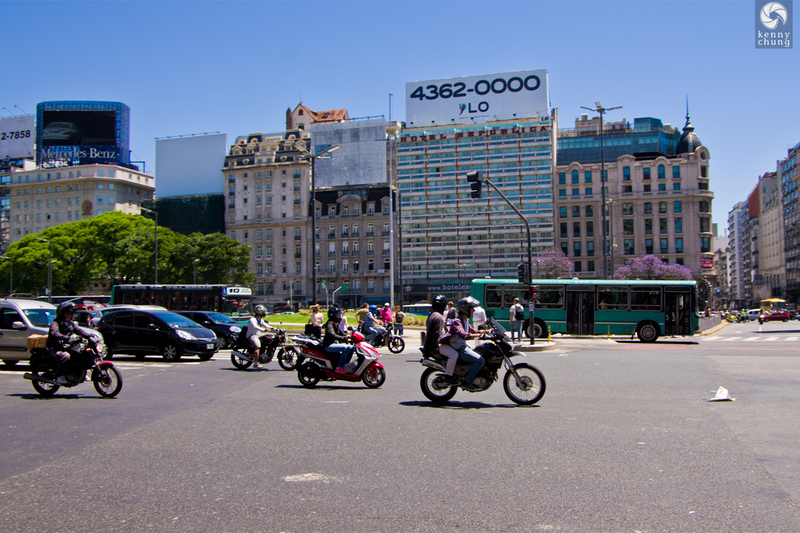 Motorcyclists on Carlos Pellegrini, the street on the east side of Plaza de la Rep�blica. 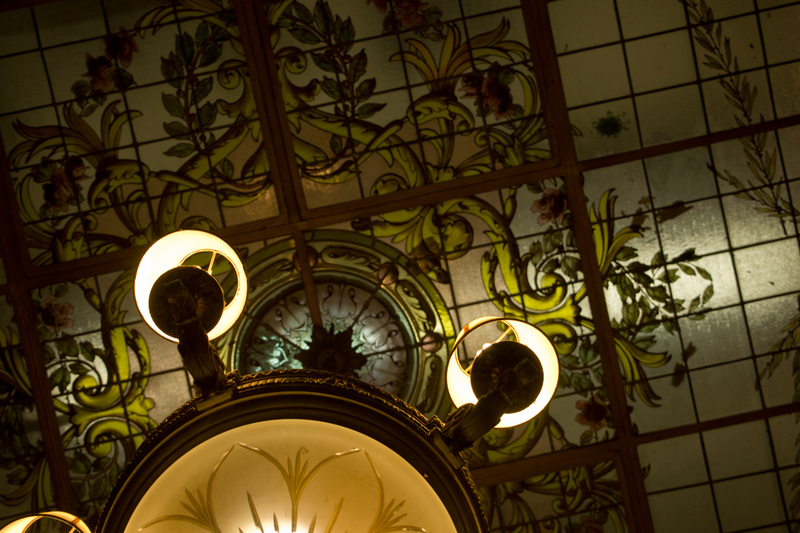 The north side inscription commemorates the first time the city flag was raised, from the St. Nicholas tower. The tower itself was demolished.